I love learning new information. And, I am intentional about sharing that information with parents so they can be empowered and help their learners move closer toward the best, well-informed decisions about their future. Yesterday I called a college in the State of Florida to get some answers. In the process of talking with an advisor in the Bachelor's Degree office, I learned some new tidbits about degrees and foreign language. The information below relates to all students, unless specifically mentioned as pertaining to homeschooled graduates. 1. The AS degree is considered a terminal degree. The goal is to provide the graduate with enough career specific content and skills to enter the workforce without continued education. 2. The State of Florida requires 36 General Education semester hours for the AA and BA, but not for the AS. If the student obtains an AS degree and then decides to transfer to another college to earn a BA or BS degree, additional General Education hours may have to be taken in addition to the degree requirements. 3. The General Education credits required for the AS are reduced in order to make room for career specific content. For example, the AS degree our family is researching requires only one semester of English (as opposed to two) and no foreign language coursework. In addition, College Algebra is not required for the AS of our interest (check the AS of interest as this may vary per career field). 4. Foreign language is required for AA and Bachelor's degrees in Florida. However, we were personally told by the Office for Students with Disabilities at Valencia this requirement may be waived by an appeal process IF the student with documented disabilities enrolls in a course, demonstrates disability, and successfully wins an appeal for course substitution. When I asked the representative at the college I contacted yesterday about whether an AA appeal would stand should the AA graduate then transfer to a four-year university to continue post-secondary study toward a BS or BA, the advisor said the decision would rest with the institution conferring the bachelor's. At her college, the student would be required to take the foreign language before being awarded the BS or BA. In other words, the foreign language though waived for the AA, would have to be taken later at the college or university granting the BS or BA. For students with diagnosed learning differences, this question would need to be posed to the Office of Student Disabilities at the college or university granting the BS or BA. This is one of those decisions which could be college specific. (Updated 11-3-2018: Read Florida State University’s policy here). 5. While I had the advisor on the phone, I asked questions about foreign language as this is always a debated topic in homeschooling circles and I want to stay current. How universities handle foreign language varies per institution and policies can change. Therefore, I specifically asked if they accepted high school foreign language credit to waive the college language requirement for the AA. She hesitated and responded, "It depends." I then specifically asked whether two years of foreign language with FLVS would be used to satisfy the college requirement and she said yes without hesitation (which has been our experience with two other home ed grads). All other methods of learning foreign language would be evaluated by the institution. Once transferring with the AA to the institution granting the BS or BA, the high school transcript would re-evaluated, specifically determining where the foreign language was taken. If this could not be validated to their satisfaction, the student would have to take the foreign language before earning the BS or BA, even though the student earned the AA. We personally experienced this with one of our learners. Valencia verified the language was taken in high school (we used FLVS) for the AA requirement and when our son transferred to UCF to move toward the BA, they contacted us and verified our two years of FLVS. High school foreign language decisions follow our learners through the college years. Seems weighty. It does to me anyway (and I've graduated three with another two close behind; they are all different). However, this statement doesn't have to keep me fearful that we (parent and young adult) will make wrong decisions. Instead, the information can empower us. With what we know information can be discuss, options can be considered, questions can be asked, and we can weigh future implications to make the best decisions we can at any given time, for each learner. This statement also reminds us that in our temporary inconveniences (not liking an instructor or a delivery method) we must consider long-term consequences (not completing a course may affect us later). That's a life lesson which reaches beyond degrees and foreign languages. Looking for more information about foreign languages? Consider these blog posts. As stated in this post, information changes—sometimes rapidly. Here are some links to updates you may find helpful (updated 11-3-2018). Should Course Codes Be Used on Transcripts for Home Educated Graduates? "Should homeschooling parents use course codes on home-generated transcripts for learners who graduate from a home education program?" In other words, To Code or Not to Code. The question continues to be asked. This post offers example of the information previously addressed. The first step in answering the question is understanding what course codes are and why they are used. I encourage you to read the post. After reading the hows, whys, and what fors about course codes are used, do your own research. Remember, high school is not a one-size-fits-all experience--though we often want it to be. Wouldn't that be so much easier, too? Home School Legal Defense offers a fantastic resource--A Guide for Homeschooling through High School--which includes a sample transcript. Another step in the process of answering the course code question is to compare sample transcripts provided by colleges and universities for home schooled graduates seeking admission--as opposed to private or public schooled applicants. Interestingly, in the research I have done I have yet to find a college or university which requires or suggests home graduates include course codes on home-generated transcripts. Again, the reason points back to why and how course codes are used. To help you in your search, I am including links to colleges and universities which offer sample transcripts for home schooled candidates seeking admission. Knowing what colleges and universities are looking for on a transcript is helpful when creating this important document. Do research. If the college has a home education admission specialist, set up a phone or in-person appointment. Building your tool chest and knowledge base will empower you as you walk alongside your high school learner into the next stage of learning. Foreign Language in High School: Which Language? In part I of this series we discussed what homeschoolers need to know about foreign language. In part II I offered common questions homeschoolers may need to ask. In this final part of the series, I will offer insights on how to determine what language to pursue. Again, understand all young adult's, their calling, and their career goals are unique. Not all of these tips will apply to every student and there are likely some you will uncover as you research and walk the journey with your young adult. Why do some colleges require more than one year of language? This is a great question! Highly-selective schools will require or recommend more years of language for their applicants. Part of the reason colleges seek more than one year of a foreign language is an understanding that the first year of foreign language is foundational, introductory work. The second, third, and fourth years generally dig deep into advanced conversation, writing, and even analysis. Of course, there are always exceptions to this thought. Can the student switch language course of study? Most colleges want two, three, or even four years of language study, often in the same language. Sometimes, however, students will complete one year of one language and then switch to another language. This is usually acceptable IF the student then continues at least two consecutive years (some college prefer three) in the same language. Again, this is an area which is often university specific, so ask questions as early as possible. Do colleges have a preference as to what languages are taken? In our experiences, most colleges have no requirements as to which languages they prefer students take. Again, there may be a rare situation out there somewhere, so do your homework! Are there expectations as to content of foreign language courses? Colleges know languages are hard. That is part of the reason they require language study. Colleges also expect comprehensive course content. What are some factors which could be considered as a student decides which language to pursue? Students who know what career field they want to enter should consider a language which would be beneficial to their future. For example, a student who wants to teach English in a Germany may consider taking a few years of German language. Foreign language is particularly beneficial to students who plan to work in international banking, law, telecommunications, travel, government, to name a few. With more an more careers spanning the global market, language could be a definite asset. Other common factors in determining which languages students may pursue are future travel plans, family heritage, or personal interest. If a student is considering several languages and trying to determine which might be the best choice, consider visiting ethnic restaurants, borrowing foreign language how-to courses from the library, or spending time with people who speak the languages of interest. Or, travel either for pleasure or missions. Being immersed in a language may help with the decision of which language to pursue. As the student is choosing which language to study, he or she may need to be reminded that study may become (and often does become) difficult. Learning a language can be hard. In the challenging times, we have had to remind our young adults of the bigger picture. The bigger picture, the goal, often helped our students hurdle temporary difficulties. I hope this series has been helpful to you and offered some points to consider as you help your young adult successfully navigate the foreign language trek. I am often asked how I design classes for our high school young adults. Actually, I don't design all their classes, only ones where there is a special interest, an intrinsically motivated independent study, a travel experience which sparks learning, or in a case where we can't find a traditional curriculum fitting our learning goals. Our oldest son had a great interest and gift for learning history. This was, by my understanding, his favorite subject in school. He read constantly, checking out books at the library and spending saved monies at museum and historical landmark book shops. He outsourced his dad, a public school history teacher, very early. By the time he reached high school, there really wasn't a curriculum available to challenge him. I had to research accelerated reading lists, college course syllabi, and talk with historians to find resources for him. It was a challenge, but a privilege to help him grow yet further in his learning. For readers interested in the detail of what we constituted Ancient World History/Survey of Ancient Literature, our reading list (remember it was a springboard from which he could jump in for more) is below. Please keep in mind as you read through the list, he was a self-motivated reader with an interest in the subject. Not all young adults will share this interest or learning preference. In addition to his independent reading, we used a textbook as a spine of topics. Though he started the year reading some of the text, by the end of the year he was reading more primary source documents, living history selections, and biographical pieces than text. He also had the amazing opportunity to travel to Rome, including tours of several sites inside the ancient city wall. This method works for us. I tweak the process with each young adult. Please, don't use what is written here as a comparison for what your student should or shouldn't be doing. Our examples are only intended as encouragement, to give an idea of what worked for us, and what you might be able to create (or adjust) for your high schooler. Our young adult was (and still is) a reader, but your young adult may have an opportunity to intern with a local businessman or a museum curator. Use what God provides for you and pray about how he is preparing your young adult for the future plans He has, not for the ones we best intention. Sign up for our Celebrate High School newsletter and get a free printable Ancient Literature check-off list. Ancient Literature printable check list? Yes, please! Sign up with your email address to receive our high school newsletter and freebies. I am so excited about a NEW workshop I've added to my conference speaking topics--Keeping High School ALIVE with Living Books. 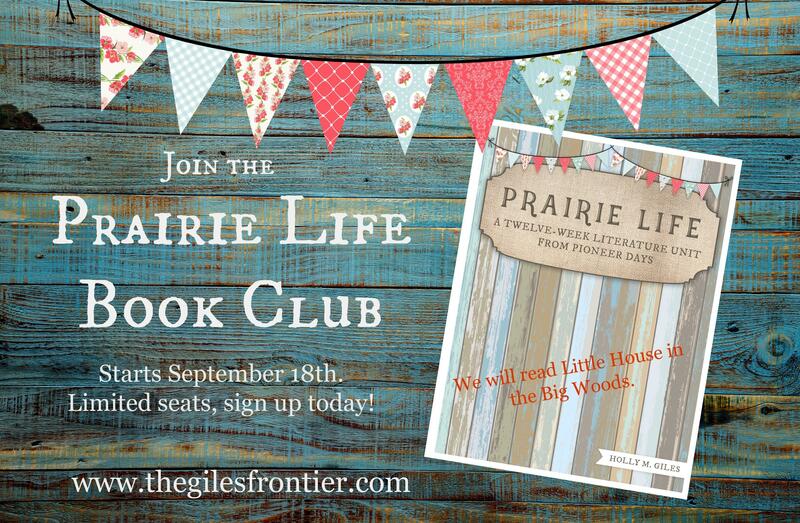 Can't wait to share how Living Books can continue to impact learning all the way through high school. Check out my speaking topics page. *The information in this blog post is not intended as legal or educational advice. It is simply a journal of what worked for us. Parents are responsible to oversee their child's home education. The answer to the question depends on the status of the student applying. Home educated in our state means enrolled in the Home Education Program with the county of residence. Those students are home educated students by definition and will apply to colleges as home educated, non-traditional or non-accredited graduates. The term used varies college to college. In our state if the student chooses to enroll in a private school for classes once, twice, or three or more times a week--or as a place of record--that student is considered a private school student and will apply to colleges as a private school graduate. Some colleges and universities require private schools to be accredited, by the state or by a regional accrediting agency. Generally colleges welcome home educated students with unique educational and extra-curricular experiences and varied community service opportunities, but it is always wise to check on the admission requirements of particular schools of interest. 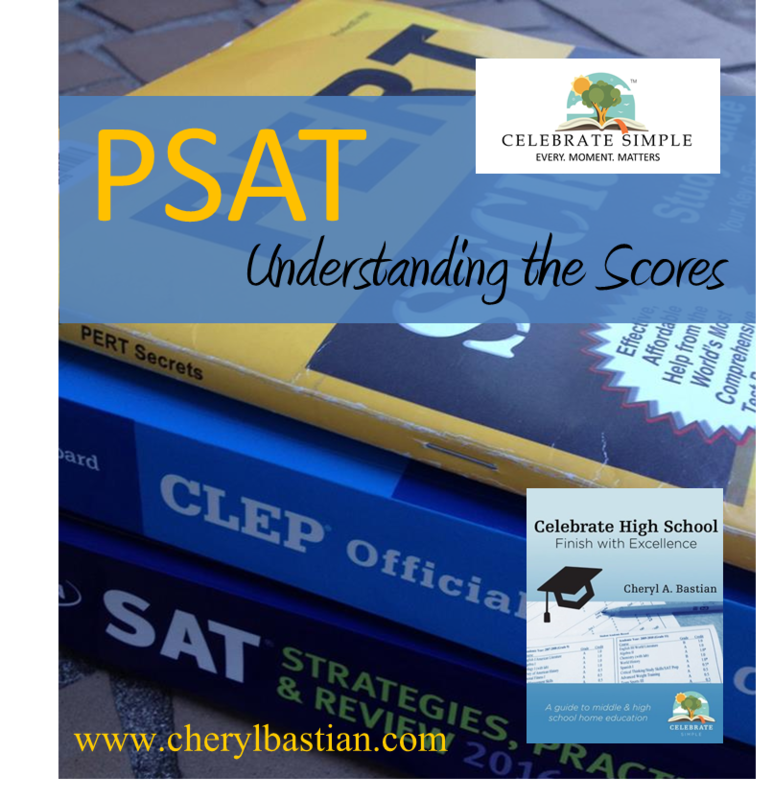 I recommend parents and students begin THE BIG COMPARISON--outlined in my book Celebrate High School--when several colleges have sparked a desire for further research. Universities are hiring counselors designated to serve home educated students. After reading online admission requirements, make contact with the counselor. Advanced research demonstrates interest and initiative. A running list of questions may be helpful. Early research allows parents and students to plan well. Gain the knowledge you need! typing "homeschool" or "home education" in the search box of the college website. searching "homeschool coordinator" in the search box of the college website. contacting the homeschool admissions coordinator. Colleges and universities are hiring personnel to help their home-educated applicants. looking for homeschool admission requirements under the heading "non-traditional". Home education is considered a non-traditional method of education by many universities. Additional information about admission requirements for specific colleges at Penn State. I do not receive any compensation for inclusions on this list. It is completely random--I add to the list as I research and work with families. This list is not intended as endorsement or advertisement; simply as a helpful tool to aid and encourage. This list grows and grows. Check back for new additions.